The threat for a least SOME impacts from Hurricane Jose, currently a category 1 hurricane - is increasing. The wind field is expanding and the forecast track is slightly farther west. It appears this could also be a fairly long duration event. As of Sunday evening, Jose was approximately 335 miles southeast of Cape Hatteras, North Carolina. We’re starting to see a switch between a tropical cyclone and an extra tropical cyclone – that’s why the diameter of the wind field is expanding. Peak wind speeds will begin to degrees, but the 40 MPH+ winds could extend a couple hundred miles away from the center. Clouds increase on Monday. There could be outer rain bands moving into the region by Monday afternoon. Tuesday, tropical storm conditions may develop during the evening throughout southern New England. 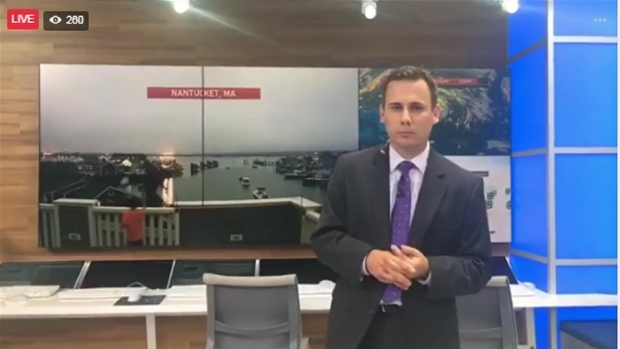 Viewers ask questions and meteorologist Chris Gloninger answers them in a Facebook Live segment concerning Hurricane Jose. The most significant weather (winds and heavy rain) will occur between Tuesday night and Wednesday morning. Some of the forecast models show the tropical storm conditions persisting into Thursday. 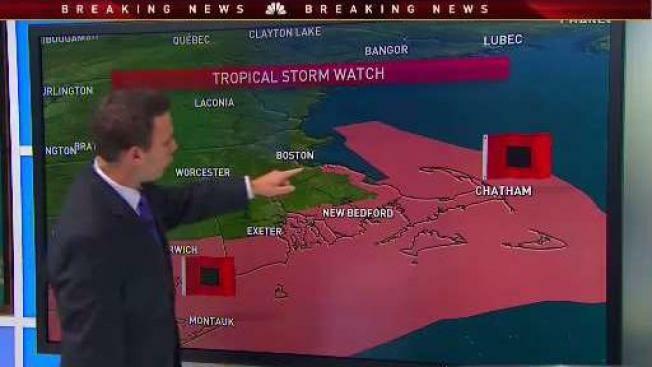 A tropical storm watch was issued by the National Weather Service for several counties, including Nantucket, Barnstable, Southern and Eastern Plymouth, and Southern Bristol in Massachusetts. Jose is expected to produce three to five inches of rainfall over southeast Massachusetts, including Cape Cod, Martha's Vineyard, and Nantucket. Between southeast New York and coastal Maine, the averages are estimated to be one to three inches of rain. Isolated flooding and flash flooding are possibilities, as are downed trees, branches, and power lines. Wind gusts of 40 to 60 miles per hour could hit parts of Massachusetts, and 30 to 40 miles per hour are to be expected in the Boston to Providence corridor. On Cape Cod's Lighthouse Beach in Chatham, Massachusetts, people prepared for the coming storm. On Lighthouse Beach in Chatham, Massachusetts, people discuss the precautions they're taking against the coming storm. "All the patio furniture has been put into the basement," said Herb Arico, a Connecticut man staying with family during Jose. "Everything has been locked up. It's very secure. I think [my family] has storm windows or hurricane windows and things of that kind." 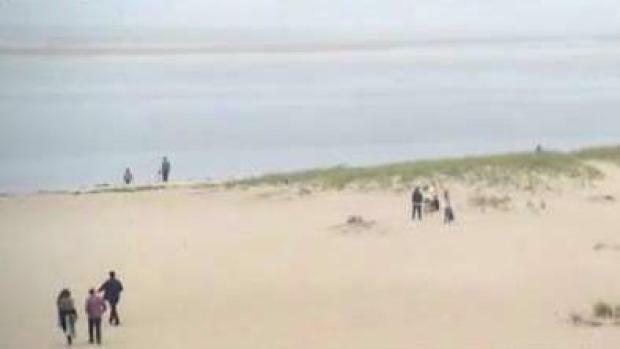 A second man said that, as a result of storms and other forms of erosion, a sandbar he used to be able to drive over off of Lighthouse Beach is no longer accessible for vehicles. When Jose comes, that sandbar - and other features on Cape Cod - could be further altered.